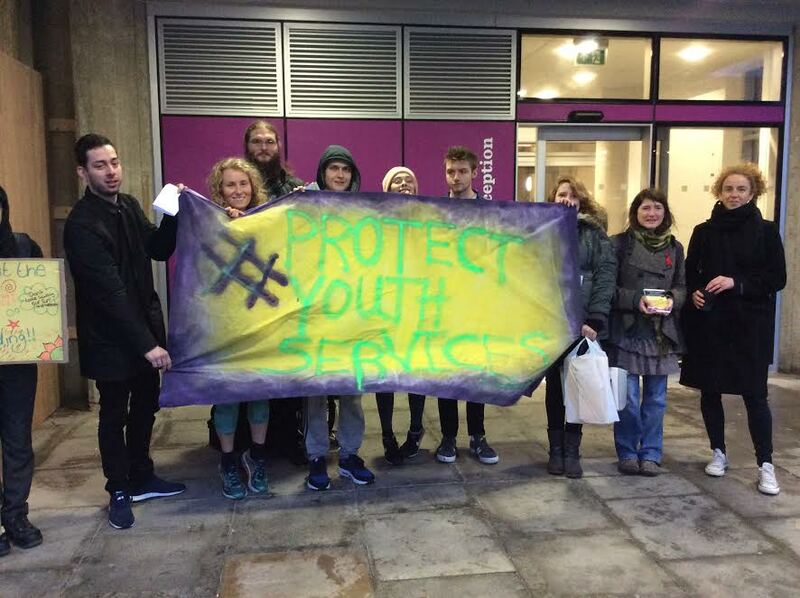 Young people protested outside a council meeting this afternoon (Monday 9 January) about proposed cuts to the youth service in Brighton and Hove. They want councillors to rethink proposals to cut £400,000 a year from the youth service budget. The money is currently spent on a contract with a consortium of local charities and community groups. The voluntary sector groups use the council money as base funding or core funding which enables them to win extra cash from other organisations. 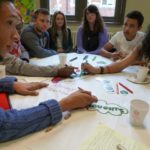 This means that Brighton and Hove City Council – and the young people – get much more benefit from their budget than if the youth service was provided solely by the council. Some of the protesters asked a series of questions at the start of the council’s Children, Young People and Skills Committee meeting at Hove Town Hall. They were answered by Councillor Tom Bewick who chairs the committee. One youngster, Jack Stanford, said: “Youth clubs provide a safe community space for young people. For many youngsters it is the only place in their area they can go without risk of being harmed mentally or physically. Another, Boudicca Pepper, asked how the proposed cuts tallied with Labour’s local manifesto pledge to eliminate youth unemployment by 2020. The youngster also pointed out the financial benefits to the council of the preventive work carried out by the youth service. He said that the council was still looking for savings totalling about £2 million. He said that the council would still be supporting the most vulnerable and listed service such as the youth offending service and the youth employability service which would continue to spend a seven-figure sum between them on helping young people. “As someone who first came to the city as a foster child, I can tell you it pains me that as an administration we’re faced with making these cuts. There was a young female from Blatchington Mill High School There as well, who asked with no Youth Workers who will I talk to at School? – Tom Bewick prompted for more into and the girl suggested domestic violence. Labour obviously are not supporting tory cuts, but they did hound the Green’s back in 2010 who had to issue cuts to services, now the shoes on the other foot, Labour are also blaming the Tories, shame they didn’t in 2010. Nonetheless the girl is right, have people seen the recent spate of historic sexual abuse, you take away from these services the number of victims increase, the numbers of kids going to prison or offending goes up, all a number of things change, we know investment in services for the youth is key, not cuts! 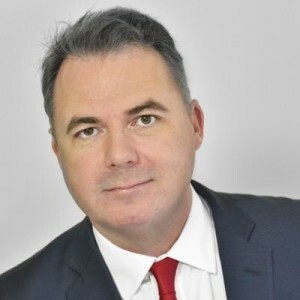 I would like Tom Bewick to come out and stand up for the youth like has has done, but he also needs to scrutinise BHCC Civil Servants, we have many care leavers in emergency accommodation in the city, left to there own devices. Why are the Labour Council Focusing more on current providers for contracts and asking them to pay more and take less. There are massive savings to be made, lets try and use collaboration and imagination not blame. I put in a freedom of information and answers are coming back. The link is below. What has been achieved so far is that B&H have now accepted it is not a discretionary service, it is statutory. They have asked what ‘sufficiency’ of provision means, and I have advised them that it is based on quantity which relates to the number of qualifying young people in the B&H area, not on cost. You will see my action may well have prompted them to advise Cllrs. My advice is to read carefully and not to miss the opportunity to say, hey this is NOT discretionary. Remember this is not the only Council, huge damage has been done because people have accepted the discretionary status claim which simply is not true. B&H could be a vital test case. I will keep you informed of course and any useful data/info you glean please let me have this. What seems clear from this report is that Cllr Bewick has not yet grasped that this service is NOT discretionary, as he claimed previously, it is required BY LAW. There has been confirmation of this to me from the Government. I have warned B&H they risk legal challenge, for if they push ahead with these cuts and that leaves them unable to provide a sufficiency of service based on the numbers of qualifying young people, they will risk court action. They also by law MUST consult young people, I am told they will be doing this, so it has not yet happened and again if the consultation is shambolic they risk legal challenge. The Appeal Court has already had such a case. Young people rightly are organising but their parents too must get behind this. I might suggest Councillors look at their expenses btw if they want to cut. Last year they claimed between them £832,450.43. The basic allowance is £10,457.65 a year. For how many hours work each? If you are paid the living wage of £7.20 ph, that equates to an annual wage of £13104 for a 35 hour week. That’s 28 hours a week. This is about fairness, the keystone of Jeremy Corbyn’s approach on wage levels. How many Cllrs earn a living anyway, how many claim pension and benefits? Across the UK, young people have been at the roughest end of austerity. It is now time to challenge that. Also, when I write as National Secretary of an organisation to Councillor Bewick, I expect the courtesy of a reply, also from a comrade in the same party as myself. Here is the link to the full exchange.